Young Americans Schools of Self-Defense programs teaches self-defense strategies to children of all ages and abilities. Young Americans Schools of Self-Defense is a program offered throughout the state of Minnesota that teaches self-defense strategies to children of all ages and abilities. Instruction emphasizes self-defense, not aggression, and teaches respect for parents and others in authority. As a non-profit organization, our low cost and scholarship programs make our classes available to all children, in families of all income levels. 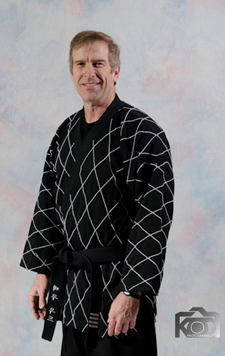 Our classes are taught by black belt instructors who love working with kids. Check out our program information sheet for more information about our program, and class location and times for a class near you. Young Americans Schools of Self-Defense (A Minnesota Non-Profit Corporation) is an exciting self-defense and safety awareness program for children ages 3 to 16. The mission of Young Americans is to promote child victim prevention by instructing every child, and their families, in self-defense and safety awareness. Our students are instructed in non-counterstriking, non-aggressive self-defense techniques. As an adjunct to self-defense training, our students are also taught the Chinese art of Wushu (we take several students each summer to Beijing, China, for advanced work in Wushu). Personal esteem, respect for others, self-discipline, physical fitness, and positive familial relationships are also enhanced in our program. At the conclusion of each semester, students are eligible for certified belt rank promotion, and every child receives a number of participation and recognition awards. We teach one 45-minute class per week and have two, 12-week sessions and one slightly shorter summer session each year. Our coaches are certified black-belt instructors who have also been trained in the “Stay Out of Reach”, “Run, Yell and Tell”, and “Stranger Danger” curricula. They have also received training by our consulting clinical psychologist related to effectively affirming children, responding to their emotional needs while in class, and managing behavioral concerns that a child might demonstrate in a class. Our coaches will arrive one half hour prior to the start of class, start and end the session on time and remain in the facility until the last child has been picked up by his/her parents. This program is highly successful in every community it is presented. We have received the acclaim of children, their parents, school officials, youth organizations, parks and recreation departments, and many others. Our program is co-sponsored by a number of Minnesota Community Education Departments, YMCA, YWCA, Boys & Girls Clubs, Minnesota Parks and Recreation Centers, and the Minnesota National Guard. We are a proud member of the Minnesota Recreation and Parks Association.